With the fall of Victoria Hotel, Survey of India Building and Cash Pharmacy, our local landscape is changing at an alarming rate. But no need to feel nostalgic for the past just yet, LBB has got you covered! Here is a list of endangered heritage buildings you must visit before they are remodelled, abandoned or altogether destroyed! Built in the 1880s, this 135-year-old building not only has an interesting past but is currently occupied by a crime-solving government department. 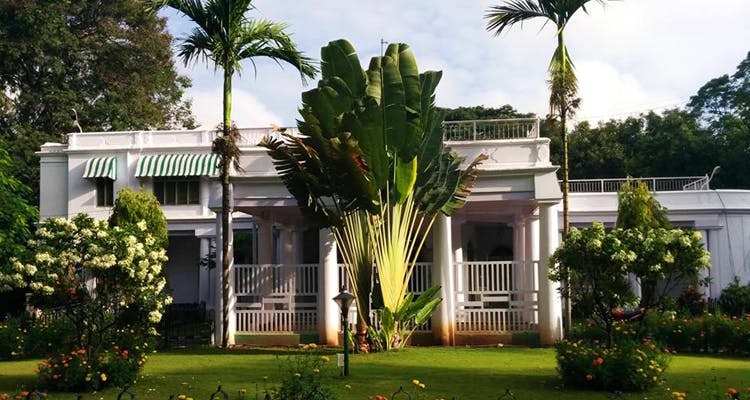 The colonial bungalow built in the European classical style of architecture, was home to Carlton, a thriving auctioneer, officer to Sir Mirza Ismail, Dewan of Mysore and today, is the Criminal Investigation Department headquarters. Imagine cluttered evidence walls, undercover detectives and take a shot eavesdropping on the latest cyber crime investigations! The closest water body to Balabrooie which translates to ‘river bank farm’ is located unfortunately not by a river, stream or lake. But instead, it’s good old Sankey Tank. The name comes from the Isle of Man, UK where Sir Mark Cubbon came from. This was also the home to other prolific individuals from nobel laureates to chief ministers and yet again lucky Sir Ismail Mirza. This beautiful home of the famous Kannada writer Masti Venkatesh Iyengar has an array of architectural influences. From the contemporary roofing, classical structure and vernacular details, it has been through its fair share of changes over the decades. Live vicariously in the past with a walk through this 100-year-old untouched home from the charming stables to the intimate bedroom filled with old family portraits and memorabilia. Make sure you flip through the archive of his published works while you’re there. Who isn’t fascinated by a royal past? Once the residence of the Maharaja of Mysore’s sister, The Avalon is now the offices of the National Tuberculosis Institute. The vintage furniture and heirloom jewels that once filled its halls has been replaced with state of the art equipment from UNICEF and doctors credited with successful TB control programs. This amazing gothic revival building isn’t going to be around much longer. The Mysore Tobacco Company shut down in 1983 and was almost forgotten till the government realised the value of the land. Since late 2014, the government frantically started the process of acquiring the land and to do so, it needs to locate and buy back shares from nearly 1,600 people! Definitely a must visit while you can. For me however, it’s more special that my great grandmother once lived there.